SKU: BROWN F-781H BED EDGER / 4" TRENCHER. Category: LAWN & GARDEN. 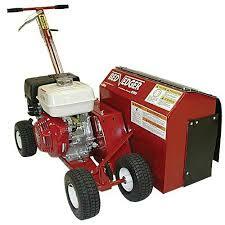 This machine will give flower beds a clean, finished look and define the boundaries between a flower bed and your lawn. A well-maintained border keeps mulch inside a bed. Installing an invisible dog fences are also a breeze when installed with an optional 4″ trenching rotor. Installing Concrete pavers & landscape timbers can be achieved with the optional brick pavor rotor.